The Dodgers (66-58) go for the series win against the Mariners (71-53) and their first series win of the month. Whether it be a walk-off balk, shrimp, or walk-off home runs, the Dodgers are doing their best to play out every late-inning bullpen disaster scenario they can this season. A series win in Seattle behind Clayton Kershaw is important as the regular season continues to wane with LA in a three-way race for the NL West. Plus, the red hot Cardinals are coming into town this week, so a series win against the Mariners would go a long way in keeping their momentum going before they have to battle the birds. Kershaw (5-5, 2.47 ERA, 2.95 FIP) looks to build on his solid eight-inning performance against the Giants last time out. Despite the no-decision in the 5-2 loss to ‘Frisco, Kershaw was in vintage form. He struck out nine and walked none on 110 pitches, the most he’s thrown since the end of April. Kershaw has made two career starts against the Mariners and is 2-0 with a 3.46 ERA and 20 strikeouts in 13 innings. 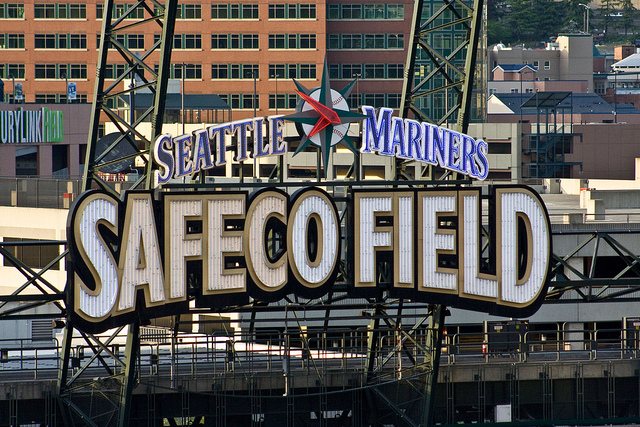 Kersh’s only start at Safeco field was back on June 9, 2012. The Dodgers won 5-3, and Kershaw struck out 12 in seven innings. The supreme southpaw has been dominant on the road this year with a 2.08 ERA and a 10.25 strikeout-to-walk ratio. He’s only walked four batters in 47 2/3 innings on the road this year. The Dodgers send a very right-handed heavy lineup to face Roenis Elias (2-0, 2.88 ERA, 2.80 FIP) in the series finale. Roenis has never faced the Dodgers in his five-year career with Seattle and Boston. Even though left-handers are hitting .314 against Elias this season, the Dodgers have struggled against left-handed pitching this year. They’re second worst in the NL with a .226 vs. LHP. Elias comes off the DL (triceps) to make the Sunday start against the Dodgers. His last start for the Mariners was on July 28 in relief. He’s only made one start this year and lasted 3 1/2 innings in the no-decision against the Giants in July. He also struggled in his last rehab start Sunday, walking three and only getting two outs. Scott Servais said he doesn’t know how far he’s able to go in the game. Statcast™ compiled a list of the longest HRs for every MLB team since 2015, and Joc Pederson‘s blast at Coors Field in 2015 was the longest for the Dodgers. Joc’s not in the lineup against Elias, but why not take a moment to appreciate his majestic dong. Julio Urias continues his rehab.
.@theteenager7 is scheduled to pitch 3 innings/45 pitches on Tuesday. Location TBD. The Dodgers’ offense continues to be very streaky, and the bullpen is, well, the bullpen. This doesn’t bode well for a stress-free September. Justin Turner, who’s the designated hitter today, is riding a 12-game hitting streak. Manny Machado has broken out of his slump in the last week and is slugging .619 with a double and two home runs. There’s some positive trends, but everything still needs to synch up in order to find consistent results with little time to do it.